From being disappointed about not winning an Emmy Award last year, to becoming the creator and star of the comedy series The Mindy Project, Vera Mindy Chokalingam, 36, has come a long way. Professionally known as Mindy Kaling, the Indo-American comedian and writer had earlier worked in The Office, and is the author of two best-selling books, with the most recent one being Why Not Me? Kaling loves her role in the comedy series and is having some fun too. Excerpts from an interview. 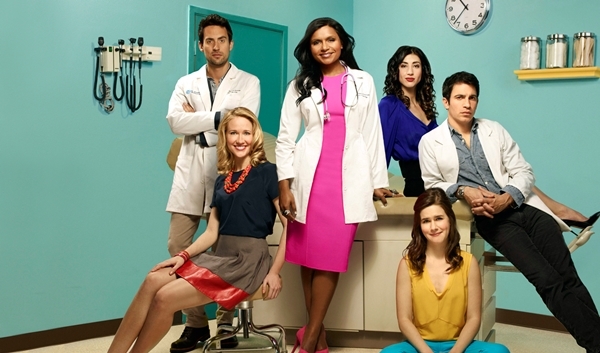 Whata��s your take on contemporary comedies, and what gap do you see The Mindy Project bridging? I love contemporary comedies. I like movies where people are acting out of character, not out of some made-up circumstance that doesna��t make any sense. Movies that are grounded in real, flawed, funny characters are my favorite. We try to do that on our show. You write in your book Why Not Me? a�?Boy meets Girl. Boy hates Girl… Boy and Girl love each other as best they can and live happily ever aftera�?. This is an old story that can easily become dull, but that doesna��t happen with the show a�� so whata��s your secret formula? Character is the answer to pretty much every writing question. People always used to say, a�?Arena��t you worried about getting your two leads together?a�? but I always felt that if the only thing going for the two characters is the suspense of whether or not they will get together, that means they are unformed and not terribly interesting characters. We just spent a lot of time writing the backstory of the leads on our show, and writing adventures for them was never a problem. The show was resurrected when it was picked up and renewed by Hulu after Fox dropped it. What was the time in between like? We were so happy to be picked up by Hulu, which is a place so many of our fans were already watching the show. Their programming and sensibility suits us really well. Tell us one thing that the series has taught you? The series has taught me that if you write a character and you share a first name, people will assume that character is a representation of who you are.